LAS VEGAS—Robot housekeepers. Talking alarm clocks. Shopping list-generating refrigerators. Humans have been dreaming of ways to automate homes for decades, but those dreams have always been prohibitively expensive. Now all of those products are not only real, as we’ve seen at the International CES for the last few years, they’re also getting cheaper and smarter. Two of the biggest trends for smart houses this year are Nest integration and voice activation. Nest didn’t show off any new products at this year’s show, but the Google-owned company did announce 15 new partners for its Works with Nest program, which uses Nest’s open API to link up your smart home gadgets. LG and Whirlpool appliances are now integrated with the smart thermostat, so your smart, high-end washers and dryers will power down to save energy when you activate Nest’s away mode. Whirlpool also signed on with Wink, the hub that can connect all your smart home products, but no word yet on what the two have in store for 2015. 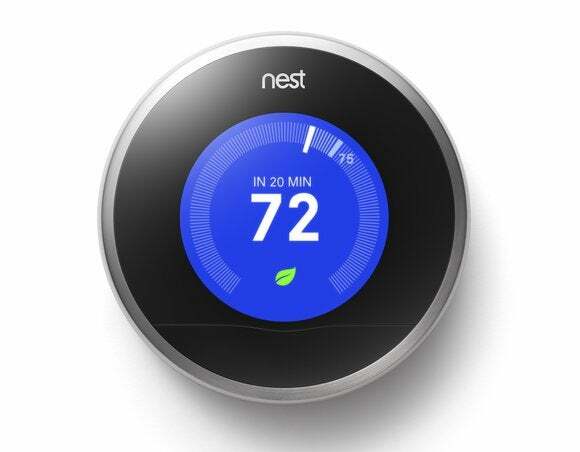 Now that everything from connected lightbulbs and security cameras to Jawbone fitness trackers and cars are linked up with Nest, the thermostat is clearly becoming the default starter smart home device. Whirlpool's latest line-up of top-load and front-load washers and dryers syncs up with Nest to pause or cancel loads while you're away. 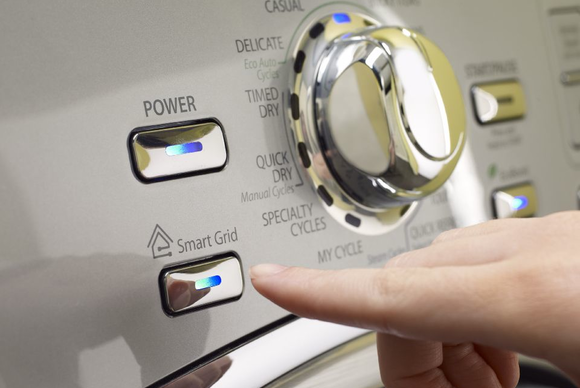 Over the last few years, Samsung, LG, Whirlpool, and other major appliance makers have connected their machines to WiFi and introduced apps for remote control of your washers, dryers, and refrigerators. This year, smart appliances went a step further with voice activation. LG’s HomeChat messaging app for texting your appliances now lets you speak your commands instead of just typing them, and Dacor’s smart oven also lets you remotely control the cooking process with your voice. You don’t even have to be in your house to tell your appliances what to do, which is pretty impressive—voice commands can be activated just by opening an app and speaking into your smartphone. Dacor's latest smart oven range can be controlled with your voice. Lynx Grills is even making outdoor cooking more intelligent with the voice-activated, app-controlled SmartGrill it showcased at CES, though unlike the indoor oven ranges we saw from Dacor and LG, you can’t turn on the grill remotely for safety reasons. The grill asks you questions about what you’re cooking and how, then walks you through the grilling process so your party guests will never guess you’re not an expert. And despite its lack of charcoal, I can attest that the SmartGrill produces a tasty rib-eye. Lynx also taps into its community of grilling aficionados with a recipe database full of tips and ratings from real-life Hank Hills. Smart appliances are still a bit too expensive for most of us—one of Dacor’s Android-based ovens is $12,000 and Lynx’s SmartGrills start at $6,000 when they roll out this March. But the connected home is becoming more affordable with thermostats, lightbulbs, and other gadgets that smarten up your life and put the home of the future at your fingertips today, all without costing an arm and a leg.